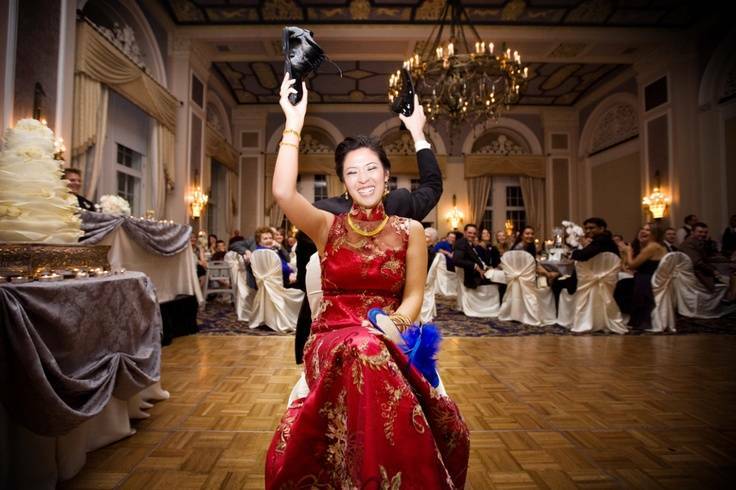 Thinking about how your guests could have a good time at your wedding? Have a few tricks up your sleeve! At the end of the day, your wedding is a party so we’ve listed some exciting wedding game ideas that will keep them laughing! Check out these entertaining essentials! If you’re one of those brides who looks at the various types of wedding games and thinks they’re mostly lame and kind of boring, then this is the game for you. It’s fun, hilarious and sure to provide your guests with a laughing good time. It’s called The Shoe Game. Who is the better chef in the relationship? Which one of you is the nicest? Once the questions have been written, the game can begin. The bride and groom sit in chairs back to back and the bride gives the groom one of her shoes and the groom gives the bride one of his shoes. This way, both are holding a bride’s shoe and a groom’s shoe. 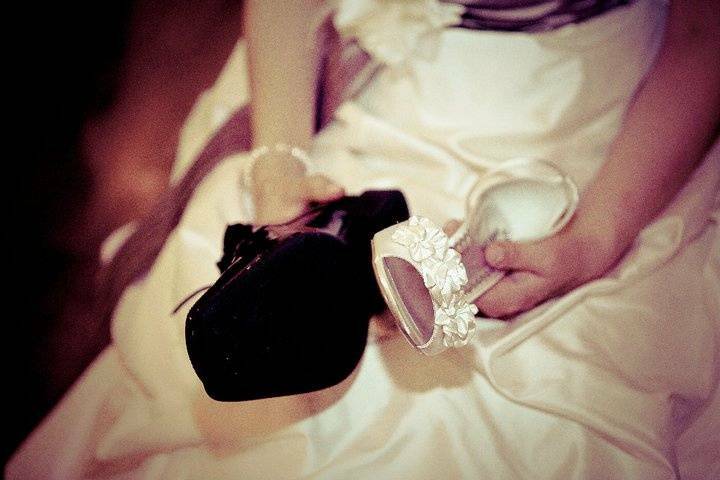 The shoes are used to answer the questions – for instance, if the bride wants to answer herself, she holds up her shoe, but if she wants to answer her husband, she holds up the groom’s shoe. Now, the maid of honor (or someone else) asks the questions out loud so the guests can hear. Then, without being able to see each other’s answers, the bride and groom hold up their shoes in answer to the questions. This can be really funny. For instance, in one wedding, everyone knew the bride to be a bit of a procrastinator, so when the question “Who takes longer to get chores done?” was asked, the bride and groom both raised the bride’s shoes immediately. However, for the question “Who is the better dresser?” the bride held up her shoe and the groom held up his shoe. Include between 5 and 10 words for each card. Try ones like groom, bride, ring, dress, cake, etc. You can print the instructions for the game on the top of the cards for each guest. The point is for each guest to find something in their purse that begins with the letters on the card. Each item they find is a point. Remember, there will be several words on each card, and some of those letters can be pretty difficult to find corresponding items to. The objective of this game is to get three marks in a row. You play on a three by three game board. Three bridesmaids against three of the groomsmen. The first player is known as X and the second is O. 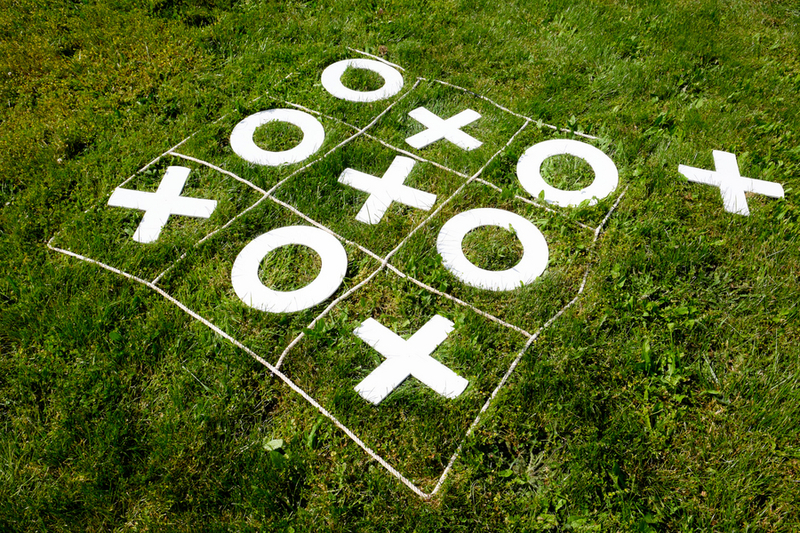 Players alternate placing X’s and O’s on the game board until either opponent has three in a row or all nine squares are filled. At the end of the wedding, ask the guests to turn in their cards. The guest who has the most items completed will receive the most points, and win a prize. The prize can be something of your choosing; anything from a small favor to a nice, large gift. These are really fun games and will surely be the most talked about parts of your big day!